UT Southwestern Medical Center is honored frequently for the quality of our care and the significance of our discoveries. 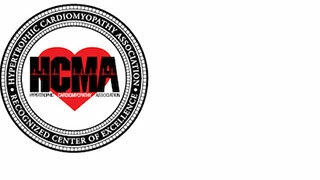 While we enjoy being recognized, we’re more pleased with what the awards represent to our patients – the best in care from the most highly trained physicians using the latest advanced technologies. 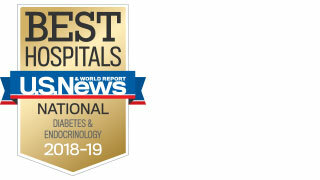 For the second consecutive year, UT Southwestern is ranked the No. 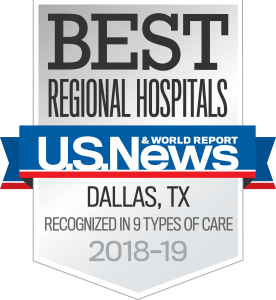 1 Best Hospital in Dallas-Fort Worth and the second best in Texas by U.S. News & World Report in 2018. 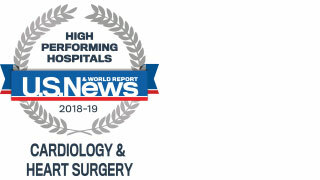 In addition, seven UT Southwestern specialties are rated in the top 50 nationally by U.S. News, while nine other specialties or procedures earn high performing designation. Eight UT Southwestern nurses were honored at the 2018 DFW Great 100 Nurses event, which recognizes outstanding local nursing professionals. UT Southwestern is on the national “Most Wired” hospitals list for a seventh consecutive year, thanks to its use of tools making it easier for patients and providers to interact, thus improving communication, safety, and patient-provider relationships. 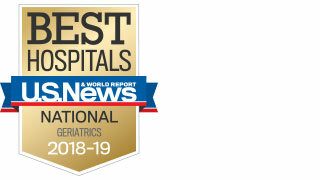 Patient Navigator Program: Focus MI Participants were recognized in the US News & World Report 2019 Issue of Best Hospitals. 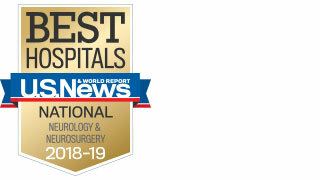 UT Southwestern Medical Center is ranked in the nation's top 25 hospitals for neurology and neurosurgery by U.S. News & World Report for 2018-19. 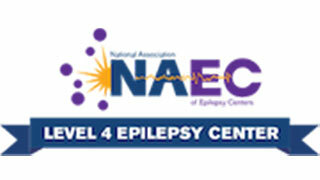 UT Southwestern's Epilepsy Program is accredited by the NAEC as a level 4 epilepsy center. Our Robert D. Rogers Advanced Comprehensive Stroke Center is certified by The Joint Commission and the American Heart Association (AHA)/American Stroke Association. 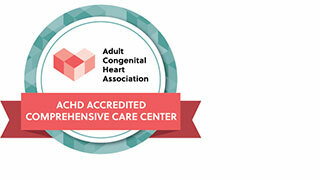 The ACHA has designated the UT Southwestern/Children’s Health Congenital Heart Disease Program as an ACHA ACHD Accredited Comprehensive Care Center. 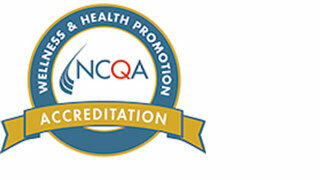 UT Southwestern has been certified a Center of Excellence by the HCMA – one of less than 30 Centers of Excellence nationwide and the first certified center in North Texas. 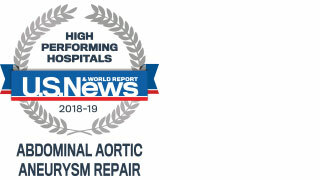 UT Southwestern Medical Center earned High Performing recognition for cardiology and heart surgery by U.S. News & World Report for 2018–19, placing us among the country’s leading hospitals for heart care. 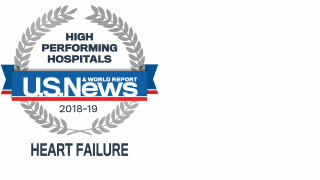 UT Southwestern Medical Center earned High Performing recognition for heart failure care by U.S. News & World Report for 2018–19, placing us among the country’s leading hospitals for heart care. 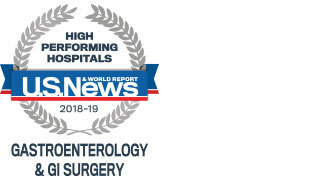 UT Southwestern Medical Center's urology program is recognized by U.S. News & World Report for 2018-19 as one of the best hospitals in the country for diagnosis and treatment of urologic diseases. 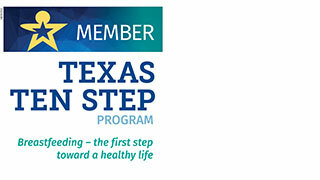 The Texas Department of State Health Services recently designated UT Southwestern as a Texas Ten Step (TTS) program facility. 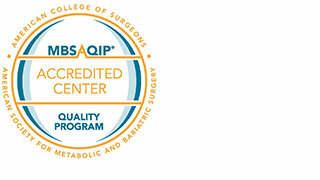 We have been designated an MBSAQIP Accredited - Bariatric Surgery Center by the Metabolic and Bariatric Surgery Accreditation and Quality Improvement Program (MBSAQIP), a joint program of the American College of Surgeons (ACS) and the American Society for Metabolic and Bariatric Surgery (ASMBS). 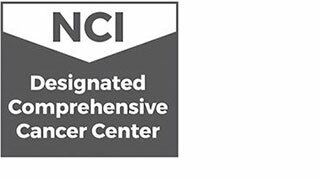 UT Southwestern's Family Medicine - Primary Care Clinic has received Patient-Centered Medical Home Level 3 Accreditation. 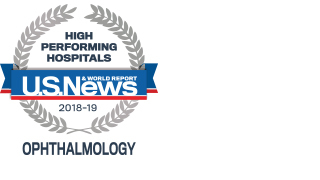 UT Southwestern Medical Center earned High Performing recognition for ophthalmology by U.S. News & World Report for 2018–19, placing us among the country’s leading hospitals for eye disease treatment and care. 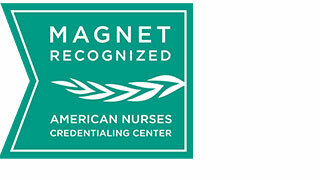 UT Southwestern has achieved Magnet® designation, the highest honor awarded by the American Nurses Credentialing Center (ANCC). 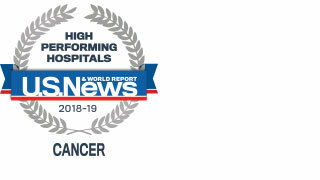 UT Southwestern Medical Center's pulmonology program is recognized by U.S. News & World report for 2018-19 as one of the nation's best hospitals for treatment of lung diseases and disorders. Our Ob/Gyn Ultrasound service was the state’s first unit of its kind to be nationally accredited by the American Institute of Ultrasound in Medicine. UT Southwestern Medical Center consistently ranks in the 90th percentile and above in Press Ganey scores.